is a registered investment advisor which provides professional asset management services. Confluence Investment Management was formed through the gathering of experienced investment professionals with a history of providing a wide range of professional portfolio management and advisory services to institutional and individual clients. 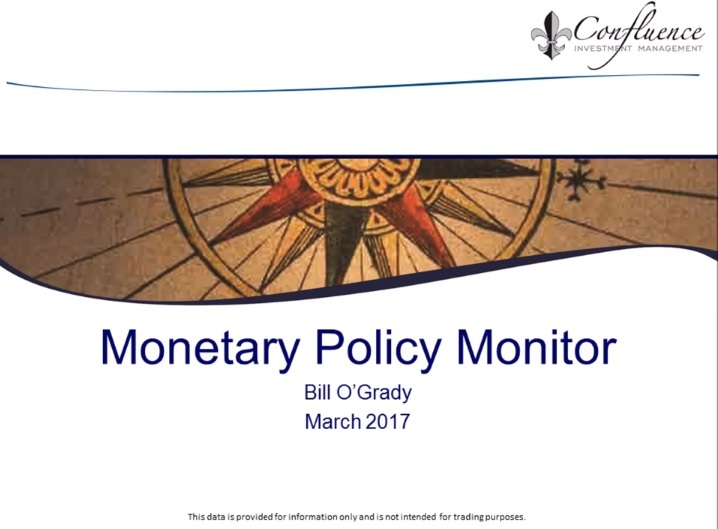 March 2017 - Monitoring the FOMC and what the Fed is signaling compared to market expectations.